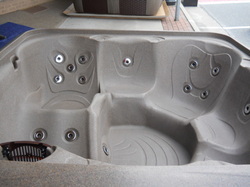 Serving all of Western North Carolina with a showroom in Bryson City, North Carolina, Bryson City Hot Tubs has many models and sizes to choose from. 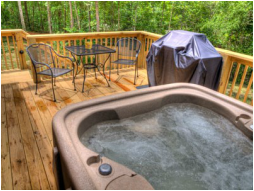 Find the perfect hot tub for your home, vacation home, or vacation rental property. 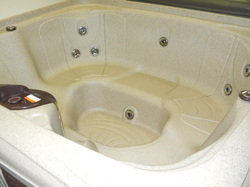 Visit our showroom for a range of options, including jets and controls engineered for optimal hydrotherapy; multi-colored LED lights for chromatherapy; a proprietary insulation and filtration system to reduce maintenance needs and operating costs; and they're built with materials that will last a lifetime. It's easy to forget about the importance of spending time to bond with family and friends. One of the great benefits of owning a spa is being able to invite friends to share the hot tub lifestyle with you and being able to get your family to spend quality time together. Forget the TV, phone, computers and video games and spend time with the ones that you love with no interruptions and distractions. Ask us about options such as LED illuminated waterfalls, multi-colour LED lighting systems, MP3 Audio systems with waterproof speakers and AM/FM radio systems. With all of these options you are sure to impress your guests and provide entertainment for the whole family. Whether it is summer or winter nights, you are guaranteed to enjoy your time spent in the spa with your family and friends. Using a spa during the winter in the Great Smoky Mountains gives you the perfect opportunity to enjoy the cool weather in a warm environment. Hot tubs in the North Carolina towns and cities of Bryson City, Robbinsville, Cherokee, Lake Fontana, Lake Santeetlah, Stecoah, Sylva, Dillsboro, Cullowhee, Webster, Whittier, Franklin, Highlands, Cashiers, Waynesville, Hayesville, Murphy, and Andrews.